Are brewers genuinely expanding the beer world through their exploration of wine, or just pushing it further from being a drink for the masses? Matt Curtis finds out. Maybe it was easier when beer just came in pints. Times were perhaps simpler when you could order by just asking for a “bitter,” “mild,” or a “pint of lager please.” But hey, where’s the fun in that? The world of beer has come a long way since those simpler times. 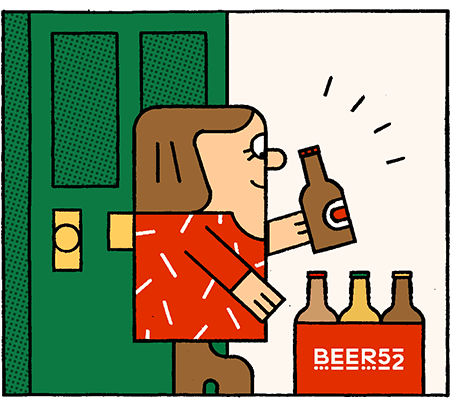 Now you’ll find hundreds of styles, presented in myriad formats, from dinky 250ml cans, elephantine crowlers—which hold almost two litres of beer—all the way through to one of my personal favourite packages—the elegant 750ml bottle. The latter more likely associated by most people with wine, not beer. The beer inside these luxurious 750ml bottles has changed too. From unctuous, often adjunct-laden Imperial Stouts all the way through to tart, delicate mixed fermentation saisons and everything in between. In fact, it could be argued that many of these beers present delicate acidity right the way through to mouth-puckering tannins (in part thanks to maturation in oak barrels) so that their flavour profile brings them closer to wine too. Then there’s the price, which is higher – sometimes significantly more so – than what you’d expect from most beers, and even some wines. And if you ask me, these are bottles worth stretching your wallet open a little wider for. This is what some folks in the beer industry refer to as the ‘wineification’ of beer. As our favourite beverage explores territory new and old, so the way it presents itself also evolves. In some cases, this means ultra-premium beers begin to look, feel and taste like wines. Many modern styles have these characteristics; in particular those that use ex-wine casks for maturation, or a cocktail of wild yeasts and bacteria for ever more complex fermentation profiles. Some even go as far as adding whole grapes or grape juice – which, before fermentation, is known as ‘must’ in the winemaking world – truly blurring the line between beer and wine. However, there are folks who worry about the trend of wineification and how it might affect both beer’s reputation and accessibility. Perhaps rightly so. Beer is steeped in cultural heritage, and much of that lies in traditional styles such as bitter or lager. And this heritage dictates that these beers are relatively affordable and designed to be easily consumed in large measures. The fear from this corner is that winefication in beer risks stripping away this culture. Try telling that to the Belgians, however. They’ve been presenting styles from righteous quads to impeccable Lambics in a method akin to wine for decades now. It’s perhaps the influence of Belgian brewing techniques that has caused some beer to veer down a claret-tinged path, which, if you think about it, means that the wineification of beer is nothing new. This is beer just continuing on its natural course, both widening and enriching its already rich cultural heritage in the process. While beer has often used techniques shared by the winemaking world such as barrel-ageing, or perhaps even borrowing wine yeasts to push up ABVs or achieve different flavours from fermentation, there is a growing trend of brewers taking a deeper influence from wine. Some brewers are even taking this to its extreme, by making wine themselves, or holding festivals dedicated to both wine and beer. As the wine world also goes through its own evolution, with low-intervention ‘natural’ wines becoming increasingly popular, the lines between these two worlds continue to blur. As far as the wineification of beer is concerned, so far we’ve only seen the tip of the iceberg. “Initially for me, wine started as a form of escapism from beer after one too many weekends in a row spent at a beer festival,” Beavertown Brewery’s Jonny Hamilton says. Jonny initially moved to London from Edinburgh, where he was completing a masters at Heriot Watt University – one of the most famed brewing schools in the United Kingdom – to take up a position as a shift brewer at Beavertown. However, it wasn’t long before he was offered the opportunity to head up the London brewery’s Tempus barrel-ageing project. 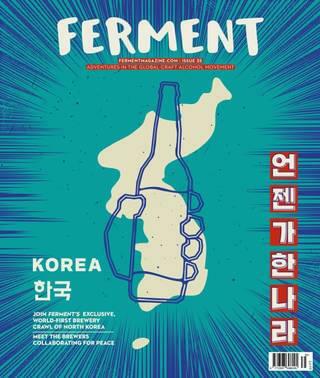 This experimental program based on wild fermentations and barrel-ageing is still a core part of the London brewery’s remit, despite selling a minority stake to brewing-giant Heineken earlier in 2018. Running Tempus gifts Jonny an opportunity that few of his colleagues have: experimentation through small-batch brewing. The first sight you’re met with in this space is more than 300 barrels of various parentage in which to mature beer, from bourbon and wine right the way through to more unusual stock such as aquavit. There are two 1000-litre foudres – large oak fermentation and maturation vessels also more commonly used in winemaking – which sit opposite Jonny’s modest brew kit. There’s also a more unusual sight (for a brewery) positioned next to the foudres—two terracotta amphora. Essentially large, porous pots which produce their own fermentation profile due to the ingress of oxygen through their walls and the minerality imparted on the beer by the vessel itself. Again, these are tools that are more at home in the culture of winemaking. The silvery glint of salt crystals condensed on the side of one of these on a recent visit to Tempus indicated to me that Jonny has filled it with a Gose. The arrival of the amphorae wasn’t directly influenced by wine, however. Rather, after drawing the colour blue in 2016’s Rainbow Project and being paired with Texan brewery Jester King, they decided to explore Ancient Egyptian brewing techniques (blue was a significant colour for the Ancient Egyptians). The vessels were supplied by a company in Italy which typically manufactures its product for wineries and, for Jonny and Beavertown, their arrival deepened their already burgeoning connection with the world of wine. Jonny is one among a number of brewers embracing the ideologies of winemaking and adapting this to their beer. Its Rainbow Project partner Jester King, for example, regularly produces beers that use grape must as an ingredient. Recently, it’s even gone as far as planting its own vines on its farm, in Hill County just outside Austin, Texas. Just outside of Philadelphia on the US East Coast, Tired Hands is another brewery pushing the Sauvignon-stained envelope. Take its Frequency Illusion series for example. One saison in this range used a simple base of Pilsner and oat malts, and spent four months sitting on previously used merlot grapes from its home state of Pennsylvania. Another saison comprised of 49% Riesling juice, making the line between what is beer and what is wine almost indistinguishable. Meanwhile, in New Zealand – a country famed for its wines – Wellington’s Garage Project put its ambition on the back of a jetski and built a ramp for it in the middle of shark-infested waters. It began making its own wines. Teaming up with Kiwi winemaker Alex Craighead, of New Zealand’s Kindeli Wines, Garage Project began to release its own wines in late 2017, under its ‘Crushed’ label. “We’re heading into wine because it’s an opportunity to try something new, and also for us to keep exploring and develop new ideas that could help with our brewing,” Garage Project co-founder Jos Ruffell told me in an interview for Good Beer Hunting ahead of the launch of its Crushed series. These aren’t exactly wines as you and I know them, however. Take Fields of Brett as an example. This “field blend” of white wine grapes was inoculated with a strain of the wild yeast Brettanomyces – a process common in brewing but sacrilege to winemakers – in order to produce an uncommonly funky flavour profile in the wine. And there’s Fun Juice, a slightly sparkling (know as pétillant naturel or simply pét-nat for short) hazy wine with enough juicy character to rival even the most hop-saturated NEIPAs. These are wines that give beer lovers flavours to cling to. I recently met with Jonny as he’d returned from a trip to pour his beer at an event held by Firestone Walker at its home in Paso Robles, California. The beer festival – and I say that in the loosest sense of the term – was to showcase beer/wine hybrids with the kicker being that the grapes used had to have been grown within 100 miles of the brewery. Beavertown collaborated with long-term supplier Chapel Down in Tenterden, and there they were joined by a handful of breweries including Jester King, Garage Project and the hosts, Firestone Walker. What’s perhaps most interesting about the project is how it deepened a brewery’s relationship with one of the UK’s most well-regarded wineries. Jonny cites Chapel Down’s winemaker, Josh Donaghay-Spire, as something of a genius, and his influence on Jonny’s experimental brewing is tangible. We’ve previously seen how breweries collaborating can bring a positive contribution to the beer scene, but by collaborating with a winemaker it allows beer to cross over with a neighbouring culture, perhaps widening the spheres of both in the process. It’s likely we can expect more collaboration between brewers and winemakers in the future, and the results should be delicious. But is this tendency from brewers like Jonny, and Jos Ruffell at Garage Project, and others, to explore wine, detrimental to beer’s own cultural heritage? And will the higher price of these beer/wine hybrids create a barrier between those who want to drink them and those who can actually afford them?